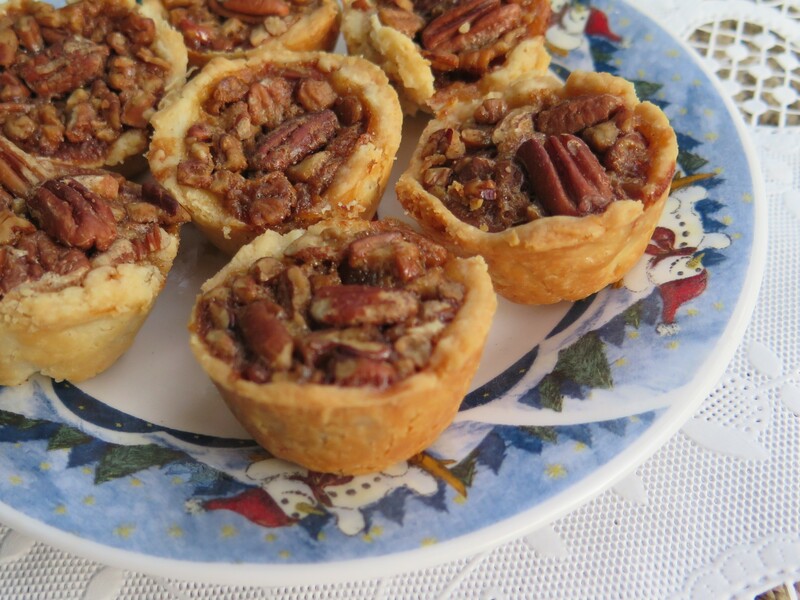 These little miniature, bite-size pecan pies are pretty addictive and I have learned to like them alot since moving to Louisiana. Pecan pies are believed to have originated in the 1700’s in New Orleans where French settlers adapted recipes using local pecan nuts in their pies. Tassie is derived either from the French word, “tasse,” or Scottish word, “tassie” which means “small cup.” Although the exact origin of Pecan Tassies is unknown, it is probably related to the modification of pecan pies in a miniature version. I found a recipe for pecan tassies using pumpkin pulp. 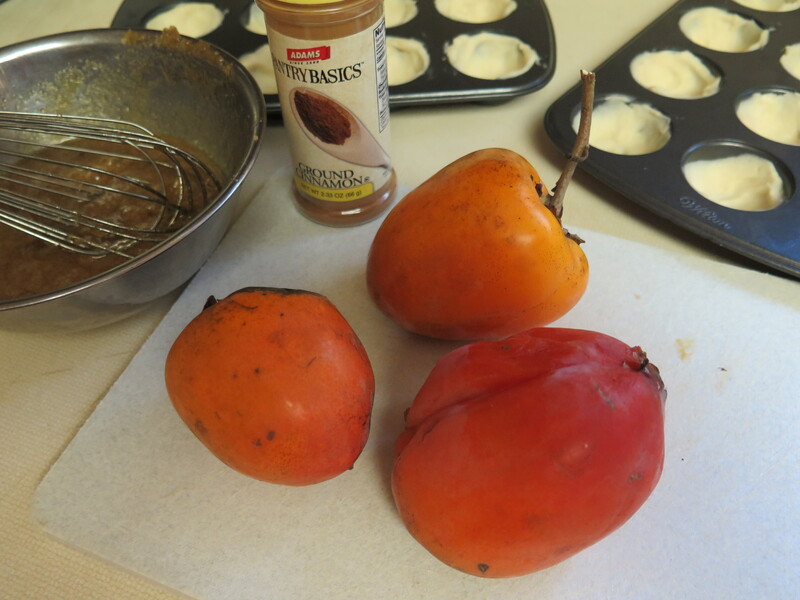 Since I’m on a mission to use all the persimmons on the tree in my backyard, I substituted persimmons. You could just as easily use pumpkin pulp (either canned or fresh). For persimmons, make sure they are the Hachiya type — which becomes gelatinous when ripe – and not the Fuyu persimmons — which never become really soft. 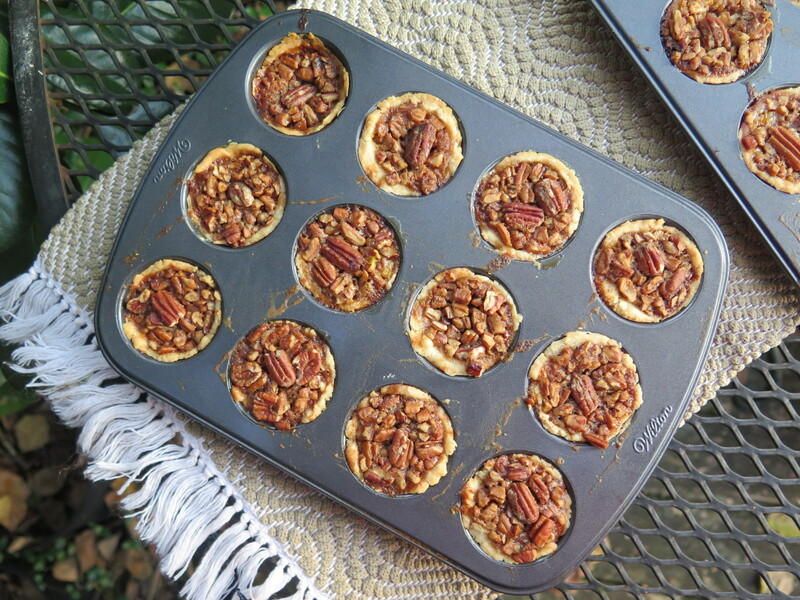 I used miniature, non-stick mini-muffin tins to bake these tarts. These worked well and the tarts popped right out without the need to oil the tins. The crust for pecan tassies is a rich crust and when the dessert is served warm, the crust just melts in your mouth. Simply divine. The crust is made of cream cheese, butter and flour. Calories? yes, but these are small desserts. For ease, I blended all the crust ingredients together in my food processor until they formed into a ball. 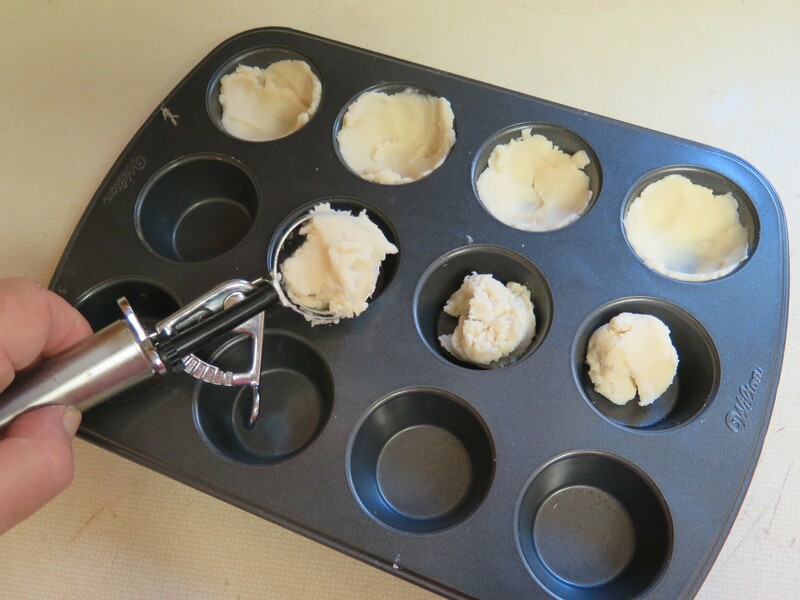 I used a small cook’s scoop to portion out the dough into the mini-muffin tins and then pressed the dough into the the bottom and up the sides using my thumb. No need to use a rolling pin; these shells are much easier to make than a pie crust. The original recipe just barely made enough to fill 24 tarts shells– so I increased the final recipe just slightly. It’s better if the dough is level or slightly higher than the muffin tin edge. The filling is a custard-type and consists of brown sugar, an egg, persimmon pulp, cinnamon, vanilla extract and a tiny bit of butter. Combine and fill the unbaked shells about 3/4 full. This should be just enough filling for 24 mini-tarts. In any case, don’t over fill as the tarts puff up while baking and can easily end up over the edges of the pan. Lastly, sprinkle on chopped pecan pieces (I added a whole pecan to top each tart off) and bake until the crust is golden brown at the edges — 22 minutes in my oven set at 350 degrees. Let the tarts cool slightly, then pop them out of the pans. The tarts are delicious when served warm, but they are often served at room temperature, too. And these tiny tarts can be frozen, so bake ahead — then try to resist eating them. 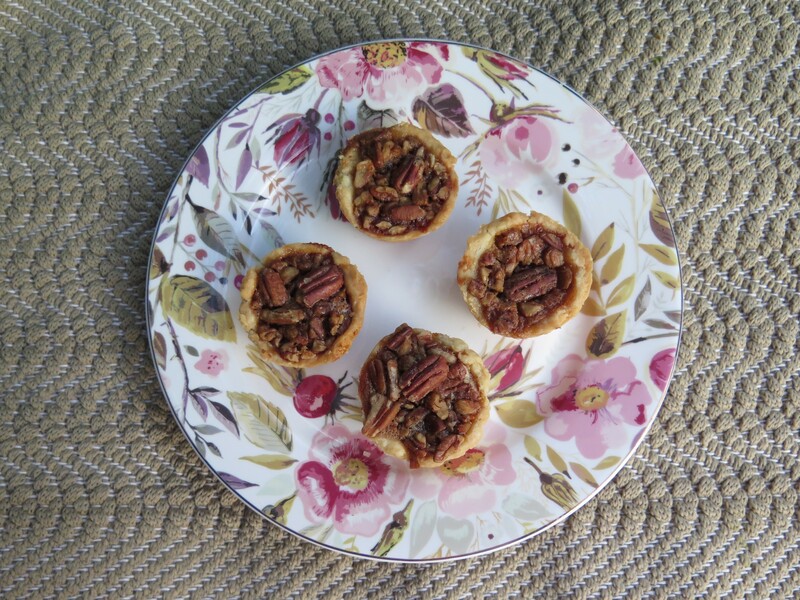 This recipe is a scrumptious variation on traditional Pecan Tassies. I brought them to our family Thanksgiving dinner; everyone loved them. These miniature tarts are surprisingly easy to make; they make a nice dessert for the holiday season. Pre-heat oven to 350 degrees. Use two non-stick 12-shell mini-muffin tins for the recipe. 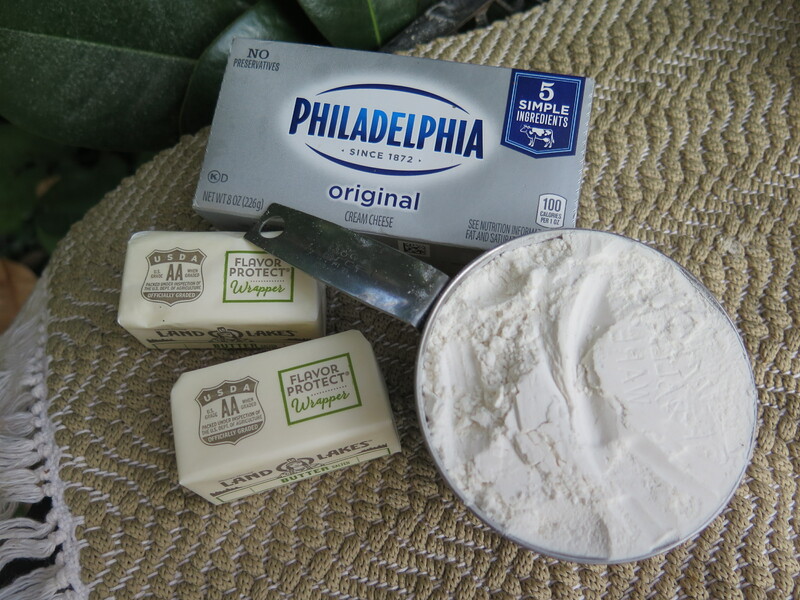 For crust: Place butter, cream cheese and flour in medium food processor bowl. Pulse and process until the ingredients clump together in a ball. 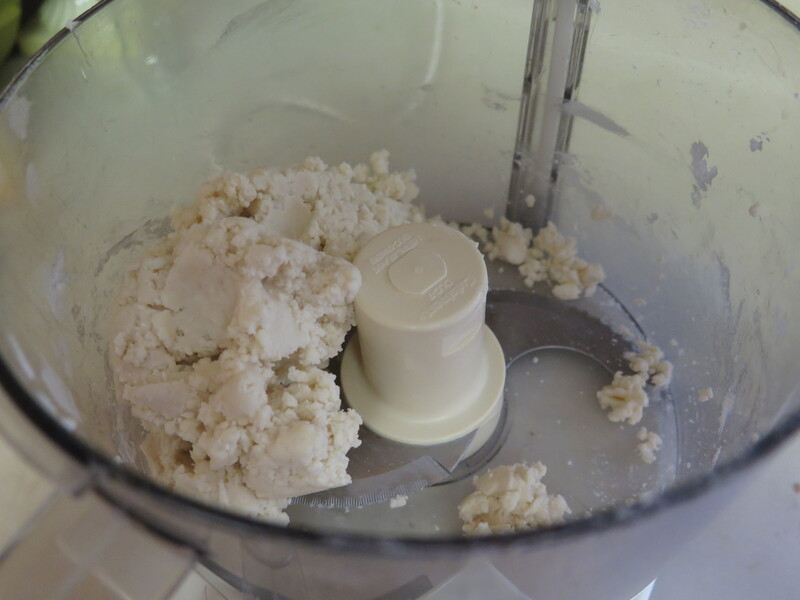 Alternately, use a pastry blender or two forks and cut the butter and cream cheese into the the flour into well blended. Use hands to form into a ball. Press about one generous tablespoon dough into bottom of shell of non-stick miniature muffin tin. Use thumb to press dough into the bottom and up the sides of the muffin tin until even with top edge or slightly above top of tin. Repeat until all 24 shells are filled. For filling: In medium bowl, combine brown sugar, persimmon pulp (or pumpkin puree), egg, butter, vanilla extract and cinnamon. Stir until well combined. Spoon into shells, filling each shell to about 3/4 full. Sprinkle chopped pecans over filling. Then place a whole pecan on top of each tart. Bake in 350 degree oven for 22-27 minutes or longer until the edges are golden brown. Remove from oven, cool slightly, then slide a fork or knife down side of tart to pop out. 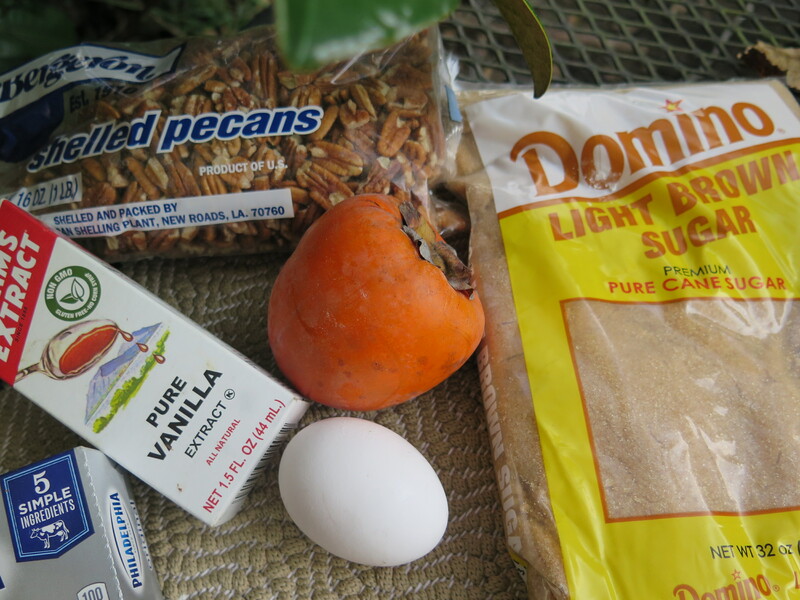 This entry was posted in Louisiana Culture, Recipes and tagged Holiday dessert, Louisiana pecans, pecan tassies, persimmons by Maylee at Beyond Gumbo. Bookmark the permalink.